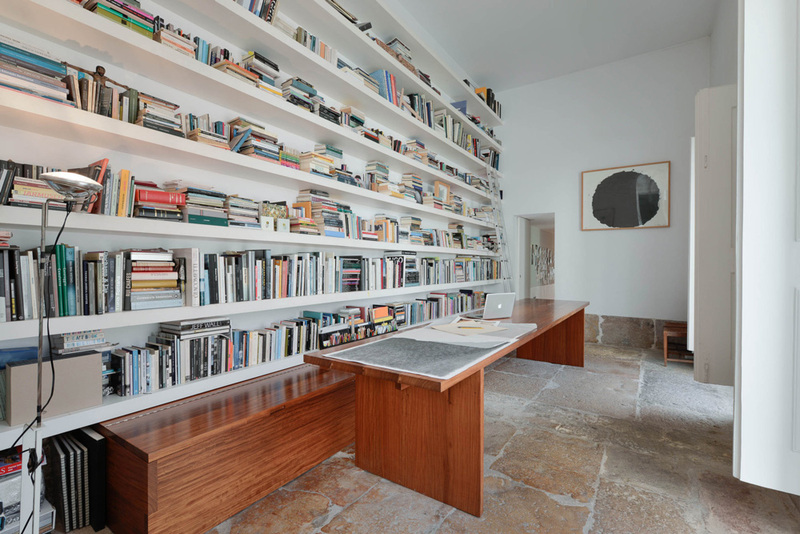 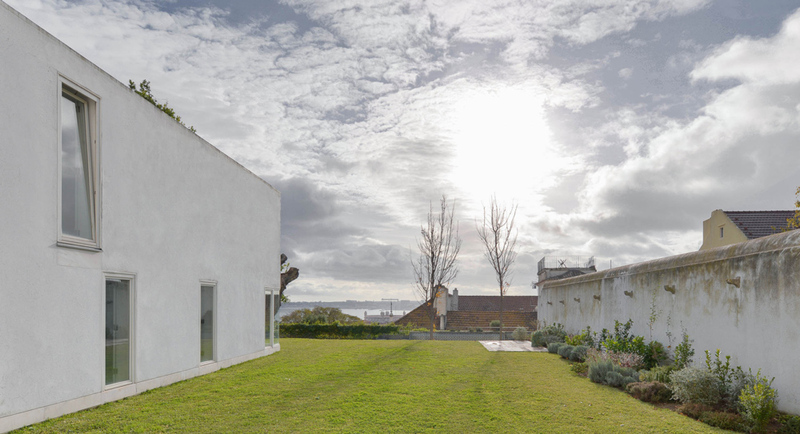 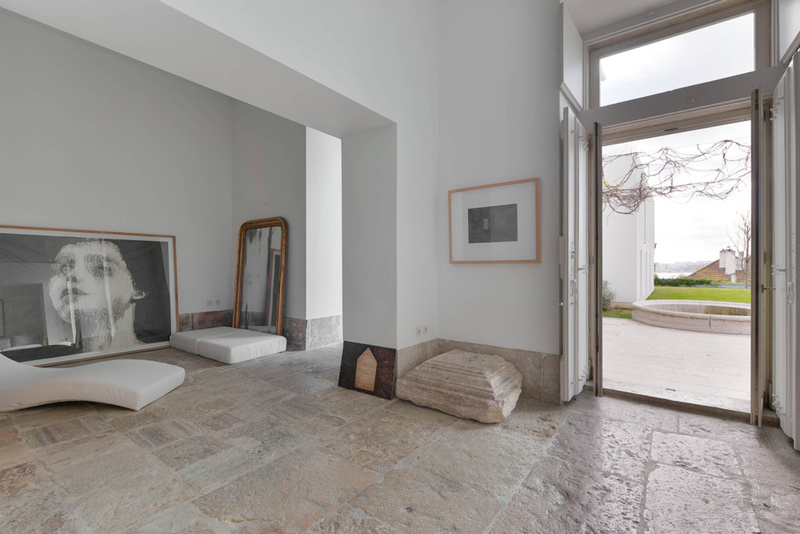 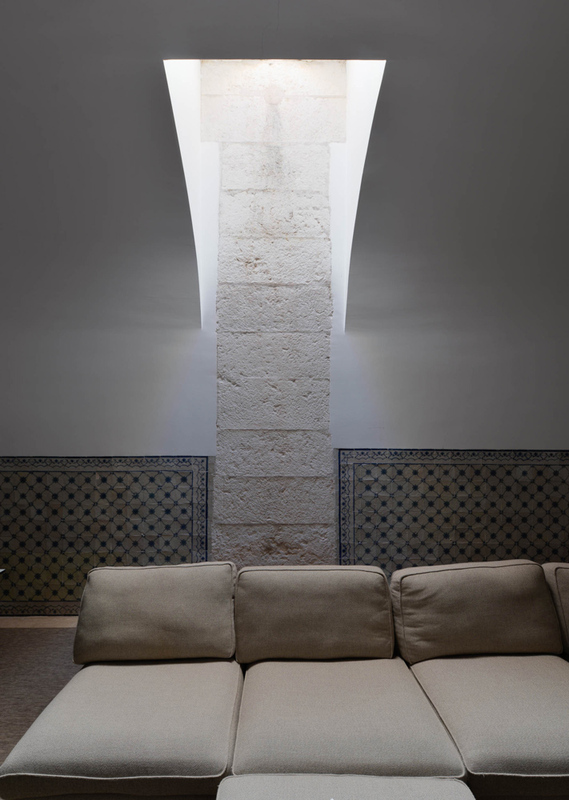 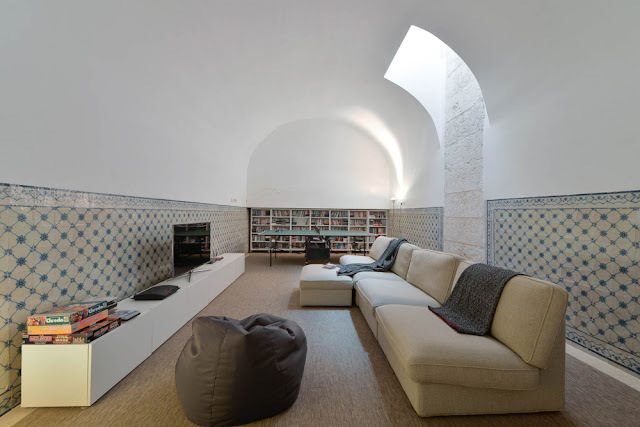 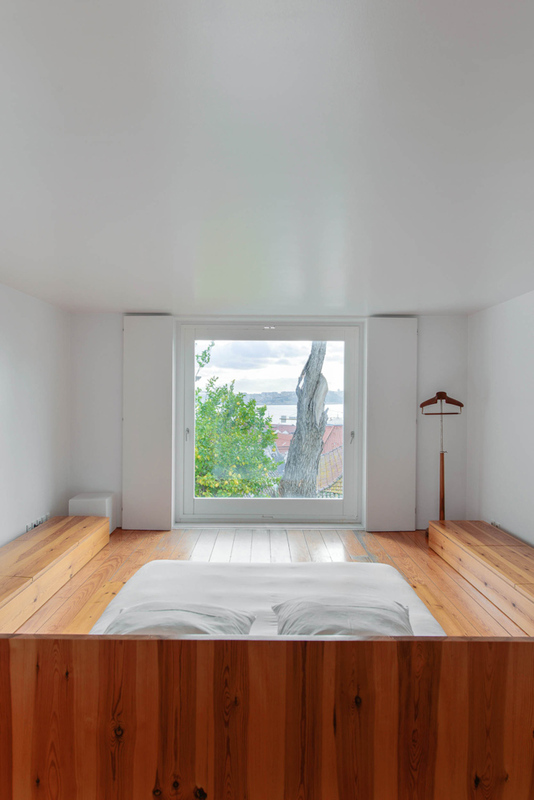 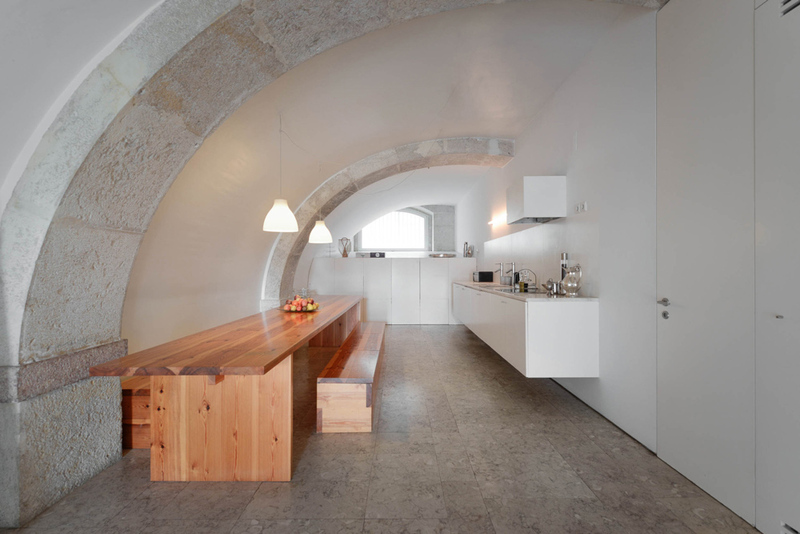 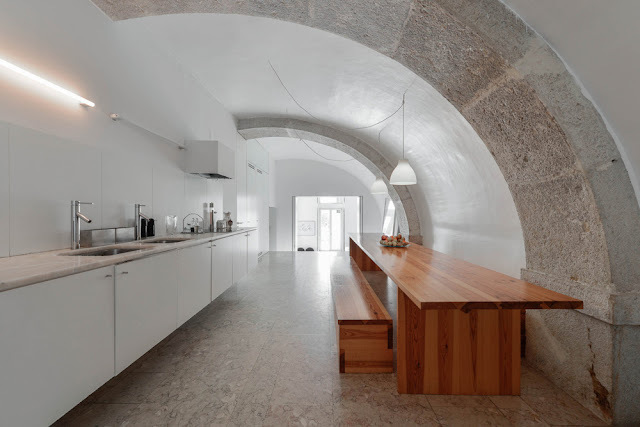 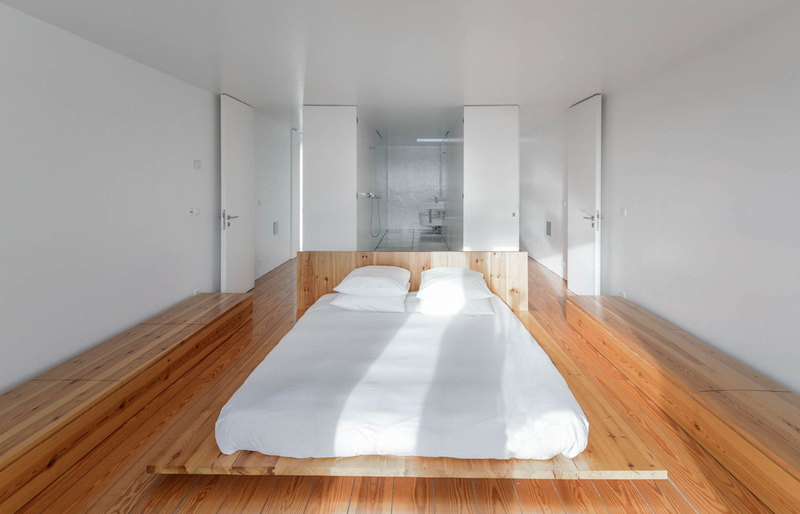 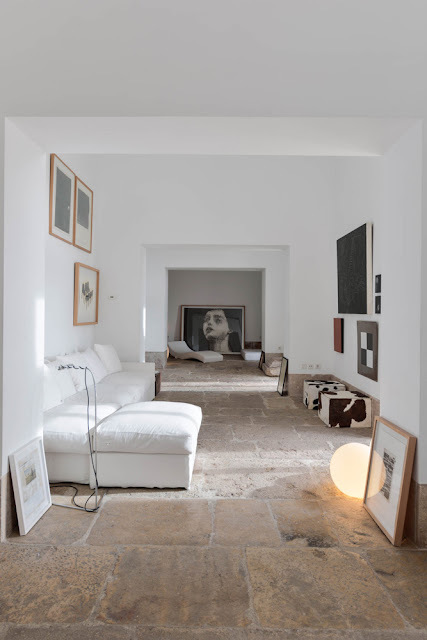 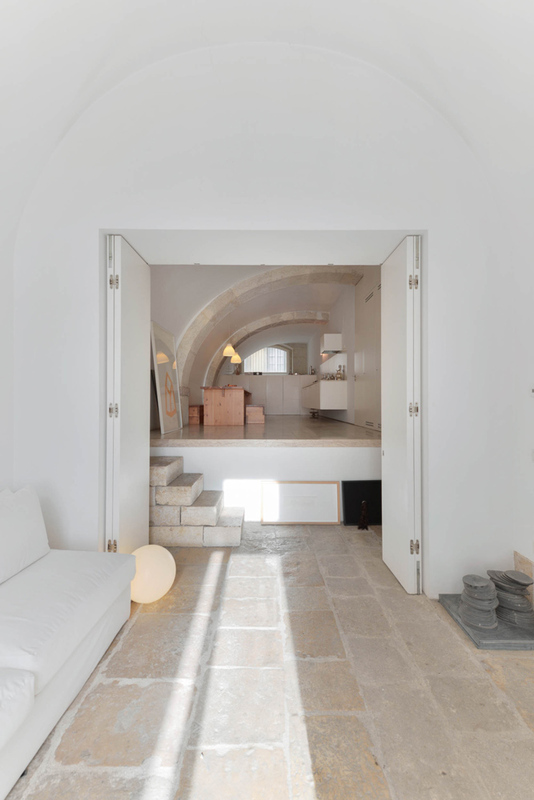 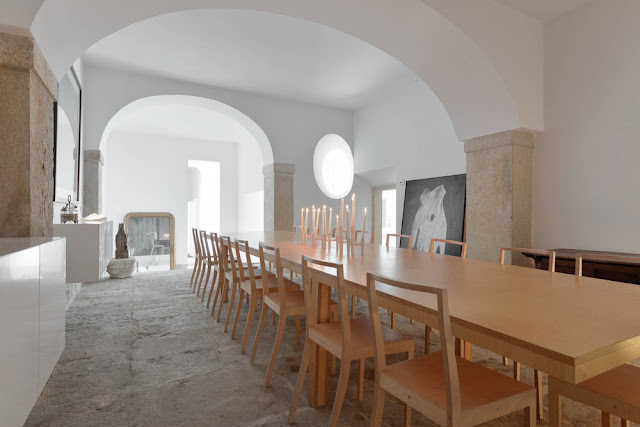 Architect Manuel Aires Mateus redesigned a18th century building in Lisbon, Portugal. 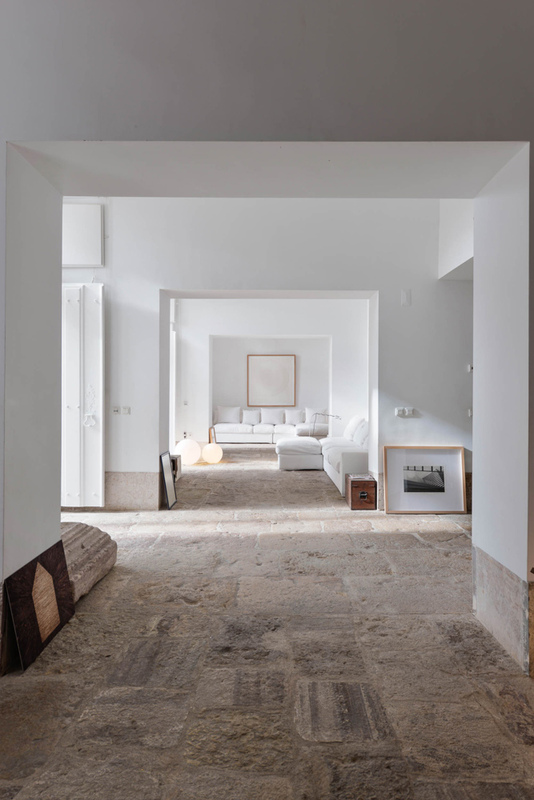 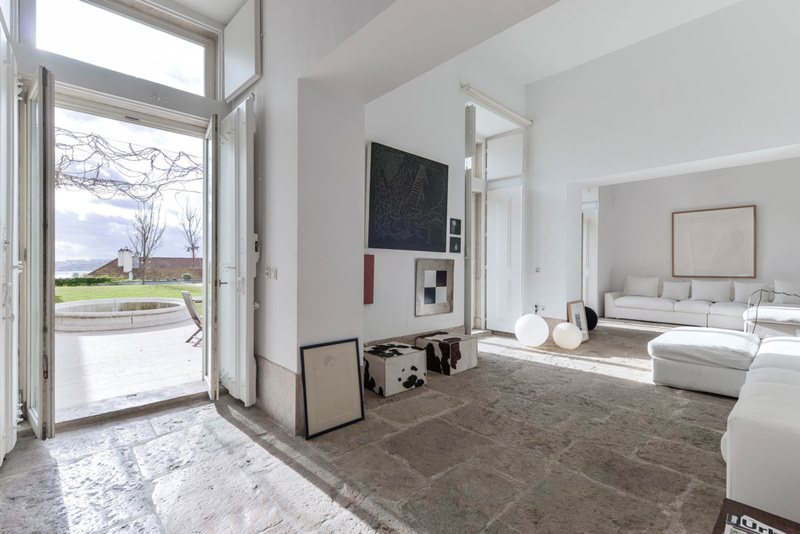 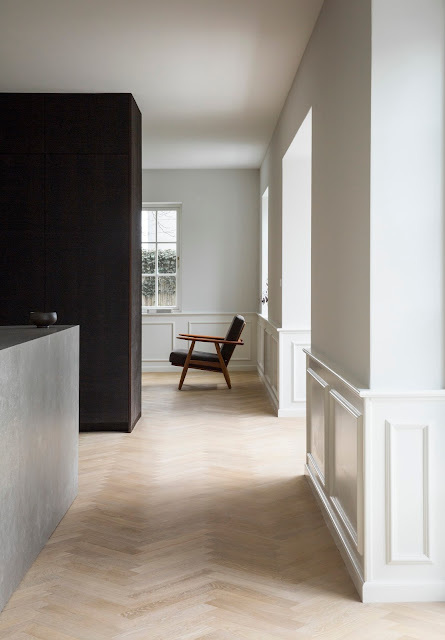 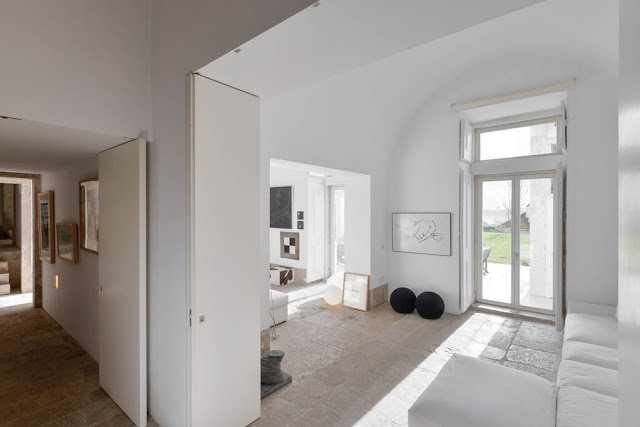 The existed estate’s spatial values and unique architectural elements were revealed through a minimalist approach that also reorganized space, to include significant, contemporary uses. 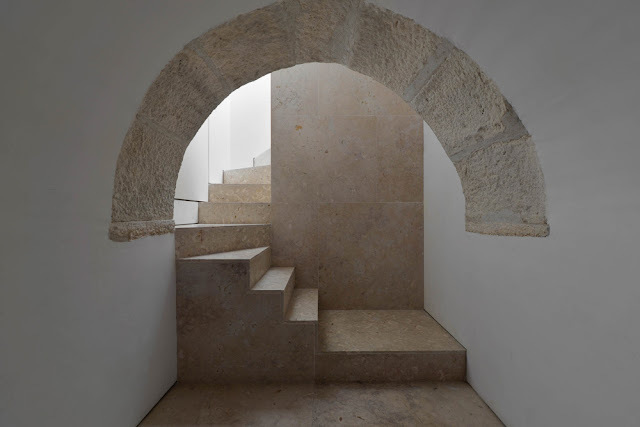 “A succession of everyday spaces occupied the lower floor of an 18th century building on castle hillside. 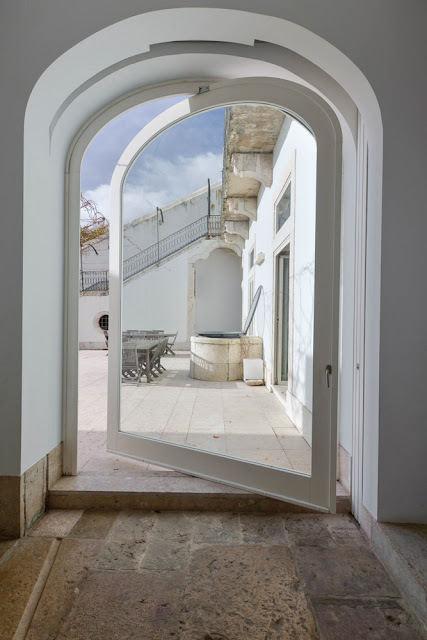 The estate existed illustrating a period and an identity that were clouded due to extended neglect. The plan for the house elected spatial values, designed geometric affinities, precision in relation to exterior windows. 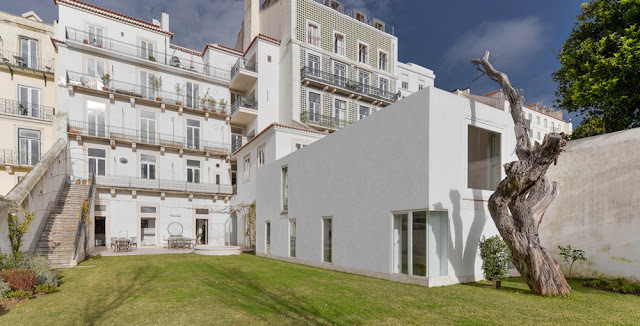 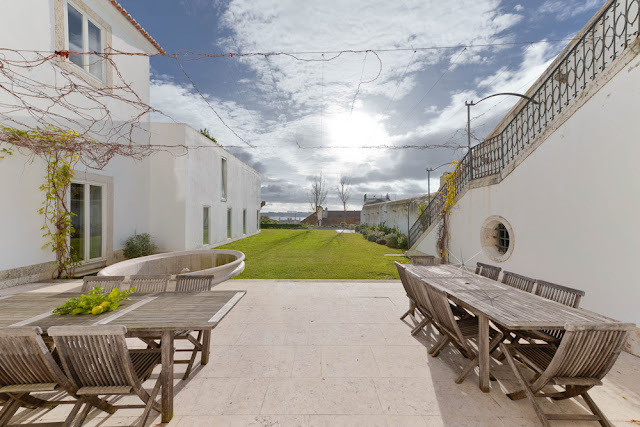 The garden made it possible to enhance the depth of the view over the Baixa rooftops and the river. 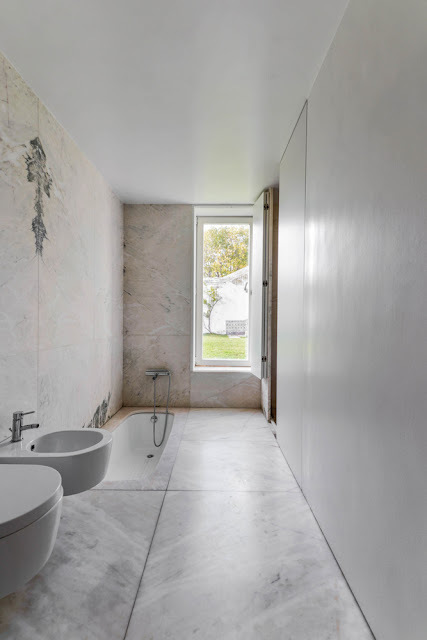 An existing addition was rebuilt to house more private functions.